Spring is a time for cherries and cherry beers! 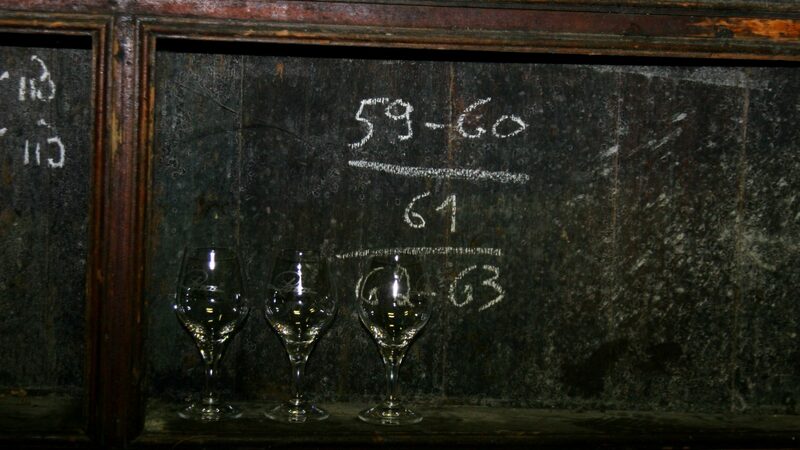 Hanssens, the small lambic blending house, has several variations of their cherry beers. Their Oude Kriek “Handgeplukte Schaerbeekse Krieken” is their newest offering in their traditional line of Kriek beers. In a way, it’s a combination of Hanssens Oude Kriek and their Scarenbecca lambic. Whole, hand-picked “schaerbeekse” cherries are mixed with young lambic and then blended with old lambic (25% of the blend) and bottled where it continues to ferment while creating an Oude Kriek’s characteristic bottle-conditioned sparkle. Appearance: Hazy deep red/purple, pink head, poor retention. Aroma: Dark berries, cherries, plums, lime, earthiness, almonds. Taste: Almonds, tart cherry, lemon, mild earthiness. Overall Impression: This is a big and bold beer. It’s got big flavor and a long finish with a dense, thick mouthfeel. Fortunately, this is balanced out with a lively spritz. It walks the line between soft and sharp in its tartness.